It was World War II and Abraham Wald was working with the Statistical Research Group. SRG was an early attempt at data analysis; in their case, using data to determine how to protect Navy planes during missions and ensure that planes and pilots returned to base safely. Using this chart as a guide, the Navy determined that the plane’s wingtips, central body, and elevators needed additional armor to protect it from enemy fire. Such protection would ensure more planes made it home from missions. But Wald disagreed. He examined the data and realized that these planes had, indeed, suffered damaged during their mission – but they survived the mission, nonetheless. The ones that failed to return to base were the ones that suffered damage in the non-plotted areas. Wald proposed that the Navy reinforce the areas where the returning aircraft were unscathed. Those were the areas that, if hit, would cause the plane to be lost. What did Wald see that the Navy did not? He saw the complete dataset. The Navy’s hypothesis was skewed because they could not see all of the relevant data, including key data about the planes that failed to return to base. Incomplete data lead to inaccurate conclusions. This is true as it relates to military decision-making, and it’s true in the real estate industry, too. Are your real estate decisions skewed by incomplete data? Do you rely on incomplete datasets because your firm’s systems are not communicating? Are all your data stuck in Excel Hell, with no way of knowing if it has been compromised? If so, let’s talk about how Pereview can clean up your Dirty Data, pull you out of Excel Hell, and ensure you are making decisions with all the data you need. Pereview's Executive Director, Derek Thornhill, explains how bad underwriting data negatively impacts your ability to manage your real estate assets. When considering the lifecycle of a real estate asset, no stage is more important than underwriting, and no component of underwriting is more important than data collection and analysis. In that case, commercial real estate companies are investing in top-of-the-line data collection, management, and reporting systems, right? Not exactly. More often than not, they’re dumping data into an Excel file (or several), without much thought on how they will make that data actionable in the future. To get an idea of why underwriting data is so critical to the life-of-the-asset, and to learn more about how companies could (and should) turn their data into a competitive advantage, we turned to Derek Thornhill. Derek is a partner at Saxony Partners and the executive director of Pereview Software. He has a wealth of experience in the real estate industry, having worked for some of the largest real estate investment managers in the world. He was interviewed in September 2018 by Matt Hooper, Saxony’s strategic communications manager. Matt Hooper: Why is underwriting such a critical part of the acquisition process? Derek Thornhill: Well, it’s the first step an organization takes in the process of manufacturing data for their business – in that it tells an organization whether or not a particular acquisition fits within their investment strategy. It’s the starting point for capturing the important asset level information that’s used to drive the acquisition process forward. MH: So, in the context of the life-of-the-asset, this is the asset’s first breath, more or less? DT: Right. The dataset established during underwriting is the foundation for information that will be leveraged for the life-of-the-asset. Over time, additional data is added and is used for reporting at all levels as you move from acquisition, to operating the asset and, finally, through disposition. MH: How does that data get captured? DT: Usually in Excel – and that’s almost exclusively across the industry. And they’ll create separate models for each acquisition and/or asset. MH: As someone who uses Excel for a variety of functions unrelated to commercial real estate, I can imagine there are drawbacks to relying on it as a central database for data this complex. DT: Oh, for sure. It’s common for companies to have Excel ecosystems consisting of multiple files with disparate data sets. Compounding it all, some of it is stored in one location, some of it stored in another location. And, yes, the majority of real estate firms struggle with this. It’s hard to leverage data consistently and generate reports from disparate data sets in various Excel files. It takes a lot of time and manual effort. Ideally, companies should be relying on a specialized software product or solution for underwriting – but, unfortunately, too few do. MH: Once this underwriting data is captured, how is it put to use? DT: The data gathered during the process allows the company to assemble a complete picture of an asset prior to acquisition. This is all the nitty-gritty stuff — property details, financials, rent rolls, and operational and performance information. MH: And the benefit to the company is? DT: The benefit is that it can be a real competitive advantage. There’s a huge upside to being able to capture data from a seller and efficiently analyze it, especially in markets where assets are trading quickly with compressed closing cycles. That is critical for determining if an acquisition is plausible or not. MH: Are there opportunities to standardize the process of capturing data? MH: What’s the value proposition of standardization? DT: Standardization allows you to consistently and quickly capture data and analyze it. Moreover, the process is repeatable – creating a competitive advantage. Remember what we were saying earlier about the critical nature of this process – that it’s the beginning of the life-of-the-asset? Well, wouldn’t you want the most critical step of the process to be consistent, quick, and repeatable – and a way to ensure a competitive advantage? Sure, you would. After all, time is money. MH: And time saved in one area is time that can be invested in another area, right? DT: Right! A company’s ability to efficiently and effectively manage the underwriting process will allow them to look at more deals and quickly determine the value of investing more time or moving to the next deal. And that’s just one ancillary benefit. Another is that all of the data gathered during this process can be leveraged going forward, because it is captured in a structured way. MH: So, let’s bring the asset manager into this conversation. If underwriting occupies a space near the beginning of the life-of-the-asset, the asset manager is a little further down the lifecycle. Why does that asset manager care about all of the things we’ve discussed? DT: Because they have a vested interest in the asset. The more you know and understand about the asset, the better prepared you’ll be to operate it effectively. The underwriting process is essentially your opportunity to act as if the asset is a part of your portfolio, so you model multiple scenarios for outcomes based on real data. Once the asset is acquired, an asset manager will leverage the data set from underwriting to operate the asset. It really is the foundation for everything going forward. Without the data, an asset manager would be flying blind. MH: What other downstream operations are impacted by underwriting data? DT: All organizations need to know how an asset was initially underwritten at the time of acquisition. It’s the baseline for measuring performance of the asset compared to budgets, business plans, and actuals. The measure of effectively executing your investment strategy is based on this data set. Underwriting information is both a driver and a measure that will show up in operational and investor reports. MH: Is all data beneficial, even the data surrounding dead deals? DT: Of course. The more data you capture, the more you can do with your data. By having standardized data management, firms can perform meaningful analysis across their portfolios to understand what drives their success. So, yes, even dead deals have value. Sometimes those deals come back around as a potential acquisition target, so having the ability to leverage the previous data captured can provide a catalyst for the current underwriting process. Dead deals also provide you with valuable market and comp data that can be used in other asset analysis for future acquisitions. MH: Earlier we were discussing the potential pitfalls that come from having data distributed across multiple Excel spreadsheets, in multiple locations. You mentioned that having a specialized software or product would be a much better strategy. That’s what Pereview is for, right? DT: It absolutely is. Pereview is the only commercial real estate asset management software that covers the life of the asset, from acquisition to disposition – including underwriting. Because of its efficiency, Pereview clients have been growing assets under management without growing their headcount. MH: How does one determine whether Pereview is the right product for them? DT: They should visit our website – PereviewSoftware.com – and then give us a call. We’d be happy to arrange a demo. Read more about painful real estate reporting here. What happens when the lifecycle of a real estate asset becomes wobbly? Inefficiency, risk, and headcount go up and reporting becomes painful. The solution: get your data out of spreadsheets and into a software platform that manages the entire Life of the Asset. If you’ve spent any time working in the real estate industry – or if you’ve ever purchased property – “Life of the Asset” (LOTA) is a phrase you’re familiar with. It’s shorthand for a very complex process involving lots of staff and critical resources. For some commercial real estate firms, the term represents some serious headaches related to efficiency and risk. Click for a full-size version of the Pereview "Life-of-the-Asset" infographic. By automating the management and reporting process, and selecting the right software to manage your asset(s), you can relieve these headaches. But before we discuss the solution, let’s get a baseline definition of what we mean by LOTA, and what happens when a stage within the lifecycle experiences hiccups. As with any lifecycle, these stages occur in a predetermined order, and what happens in a given stage impacts the subsequent stages. Remember the game “Telephone”? Someone thinks of a phrase, whispers it to the person next to them, and so on until it makes it back to the originator. Inevitably, someone mishears what’s whispered to them and passes that mistake on to the person next to them. By the time it comes full-circle, the phrase hardly resembles its original version. A similar phenomenon can occur within the lifecycle of an asset. If an underwriter makes an error, and that error gets passed down to the financing staff, and they unwittingly hand off corrupted data to the portfolio managers, and so forth. The team at Saxony Partners sees this frequently. When a stage in the lifecycle gets wobbly, bad things happen to firms. Increased risk:If dirty data is injected into the LOTA, it can increase reputational risk, operational risk, or both. Reputational risk increases when you report bad data to, say, shareholders, or the government. Operational risk increases as more and more staff are looped into proprietary, siloed processes. If a critical data trove is siloed within the underwriting team and a key member of that team quits, that leads to trouble. Firms hire more staff to manage demand created by dirty data and manual reporting. It’s why headcount and assets-under-management tend to increase proportionally. This is inefficient from a personnel standpoint and negatively impacts the firm’s bottom line. You can ensure that your firm is managing each phase of the LOTA accurately and effectively by, first, automating as much of the process as possible. When asset management firms are fully automated throughout the LOTA, everything from pipeline management, to forecasting, to staffing improves. Reporting becomes push-button. Second, evacuate your data out of Excel Hell. Excel is not meant to function as your primary commercial real estate database. You can’t establish a single source of truth from a pile of spreadsheets spread across various desktops. Finally, by investing in software that is designed to function as a real estate database, one that implements automation throughout the entire LOTA, and allows for push-button reporting. Singerman Real Estate, LLC, an opportunistic real estate investment firm, has chosen Pereview Software by Saxony Partners to support their growing portfolio of office, retail, industrial, hotel, multi-family, and senior housing assets. Saxony Partners is a leading management and digital consulting firm to the real estate industry. Kellogg said Singerman will leverage Pereview’s unique ability to connect critical valuation and underwriting Excel spreadsheets and models to the Pereview database to further automate reporting company-wide – increasing efficiency overall. Pereview allows all business teams internally to connect their disparate software tools, making Pereview a data warehouse for success. Its powerful reporting engine allows companies to spend more time using data for analysis and decision-making, instead of wasting time hunting for hard-to-find data. Kellogg praised Pereview software’s ability to work for Singerman, allowing for asset and portfolio growth, without the associated head count growth required prior to implementation. This efficiency alone will allow Pereview to become a valuable member of the Singerman growth strategy. So, this week I started a new job with a company called Pereview Software. On our website we state we are the only commercial management real estate asset management software that covers the “Life of the Asset.” Meaning that regardless of the stage the asset is in with your organization, we have a way of helping. The different stages we identify are: Acquisition, Underwriting, Financing, Closing, Asset Management, Fund / Portfolio Management and Disposition. During the Acquisition stage transaction information is entered and tracked from the beginning of a deal. Other departments can then leverage this valuable information during the acquisitions process and after the deal closed. Weekly Deal pipeline reports are automated, and information about the transaction is made readily available. Pereview supports all property types and both equity and debt transactions (loan origination and loan acquisitions). Underwriting assumptions drive the investment process and the information used to make investment decisions are needed once the transaction is closed. So why do organizations leave this information in Excel or on a file server? The Pereview Integration layer connects your Excel model to the Pereview database allowing you to store centrally your underwriting assumptions. Once this information is centralized in Pereview, reporting on underwriting projections vs actual performance is a click of a mouse. Most transactions are leveraged, and if you’re going to track the status of a transaction, you should also track the associated financing. Pereview supports acquisition financing, refinancing, fund-level debt and other financing instruments that are important to your organization. With this information you will know: how many deals you’ve done with a certain lender; your current portfolio’s debt position; how much debt is scheduled to be refinanced in the next year or two and what the associated terms and assets are. The Asset management functionality is comprehensive and brings together property accounting information, statistical information, tenant/lease data, financing, budgets, valuations, key documents and everything else the Asset Manager needs to do their job. With all this information in a central location, reporting becomes a push of a button versus week(s) long process. Given that detailed information is tracked at the asset level, portfolio and fund level roll-ups are fully automated. Pereview provides instant access to a gross market value, net equity positions, total portfolio LTV, debt service coverage ratio, geographic dispersion of assets, and much more. The fund and portfolio management functionality provide financing, modeling, business planning and investor reporting. When it comes time to harvest the investment, Pereview provides the capabilities to track the disposition pipeline, easily transmit key documents to potential buyers to support their underwriting process and provide a smooth transition to closing. I am excited about this new opportunity and if your organization would like to learn more about how Pereview has helped our clients gather more accurate information is a shorter time frame, please feel free to reach out to us. 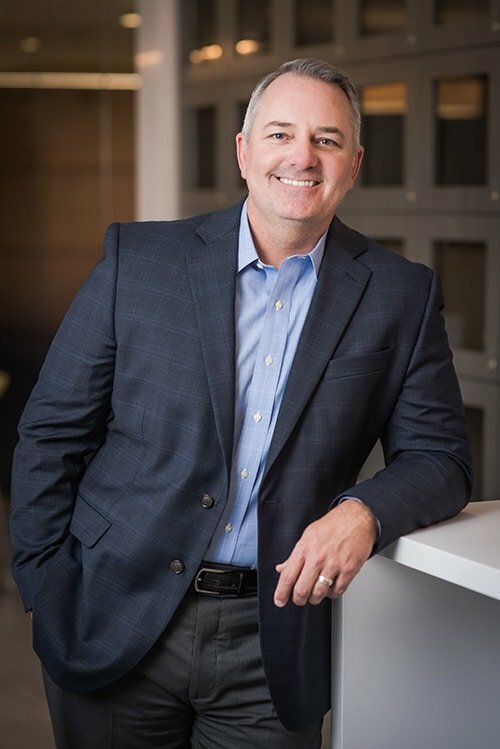 Bo Hamrick, MBA – Business Development Executive for Pereview Software is responsible for helping Real Estate Owners visualize the life of the asset.